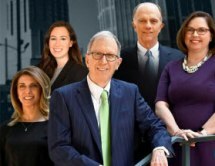 For more than 30 years, the law firm of Kinnard, Clayton & Beveridge has been advocating for injured people throughout the state of Tennessee. Located in Nashville, we handle a full range of personal injury matters, including motor vehicle accidents, trucking accidents, pedestrian accidents, construction zone accidents, medical malpractice, birth injuries, products liability, catastrophic injuries and wrongful death. Our experience in motor vehicle accidents is particularly extensive. We have successfully represented numerous clients who were in serious crashes on State Route 840, injured in recreational vehicle and ATV accidents, and involved in taxi, Uber, Lyft and bus accidents. Our staff is passionate about protecting the rights of those who have been injured, as well as families who have prematurely lost loved ones. We are competent in predicting and overcoming the tactics insurance companies and large corporations employ to avoid responsibility for negligent actions that resulted in injuries. Our law firm also has a team of registered nurses on staff who provide valuable knowledge and insight into injury types, medical conditions and other issues resulting from accidents or negligence. We know that the aftermath of an accident is stressful and frightening, especially when clients are trying to navigate the legal system while recovering from injuries. Our team is committed to providing personalized, compassionate representation to suffering clients and their families. We are proud of the numerous record-setting verdicts and settlements we have obtained for our clients, as well as our involvement in the community. Clients seeking compensation after an injury can discuss their case during a free initial consultation at the law firm of Kinnard, Clayton & Beveridge.